Ronald “Keith” Bird, 77 of Meridian passed away Friday, February 1, 2019, at Meridian St. Luke’s Hospital surrounded by his loving family. Keith was born February 18, 1941, in Portland, OR to Ories and Eileen Bird. The family moved to Nampa, ID a short time later where he lived and graduated from Nampa High School in 1959. He was active in Boy Scouts of America and was proud to be the youngest in Idaho to earn an Eagle Scout designation. In 1960, he met the love of his life, Marjorie with whom he raised a family. The couple celebrated 57 years of marriage November 4, 2018. Keith’s professional career began at Atkinson’s Mirror and Glass in October 1961. He moved on to manage the commercial business, Architectural Glass in 1974. 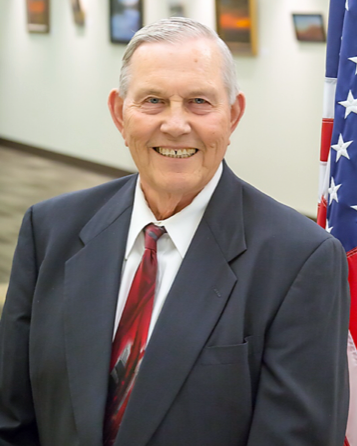 In this capacity he oversaw the glass installation in hundreds of commercial buildings around the Treasure Valley until his retirement in 2003. Keith had an unmatched ability to magnetically attract people, becoming a mentor to many and always his loyalty was fierce! His greatest passions were his family and his hometown, Meridian (especially the youth). “Grandpa Bird” was a fixture in the stands and sidelines of Meridian youth sports. He unequivocally loved coaching and watching his son, grandchildren, nephews, and nieces (along with hundreds of other valley youth) in various sports and activities. His pride for his family was absolute! He sang their praises to anyone that would listen. He also enjoyed hunting and field trials with his friends and beloved dog, Meridian’s Prancing Panther. After retirement, Keith savored coffee with his buddies and lunches with his dear friend, Winston Moore. Keith truly had a servant’s heart. He was active in so many organizations including; Meridian Athletic Association, Association of General Contractors (AGC), Meridian Speedway, Meridian Legion Baseball, Optimist Football, Meridian Parks & Recreation Commission, Friends of Meridian Parks, and Meridian Development Corporation. He was also an active supporter of the Boise State Broncos and a member of the Bronco Athletic Association for many years. Keith was especially proud of his 20 years of service on Meridian City Council (1998-2018), where he helped manage the city growth of almost 100,000 people and made everlasting friendships. He was honored in 2017 with a Meridian Park dedicated as the Keith Bird Legacy Park. He was a humble man but honored by many. His list of tributes includes; Meridian Chamber of Commerce Man of the Year, Optimist Football Hall of Fame, Meridian Legacy Award, and Idaho’s Brightest Star Honoree. His greatest triumph however was accepting Jesus as his Lord and Savior. He was baptized in 2004 and gave God the glory for seeing him through 16 years of health challenges. Keith is survived by his wife, Marjorie; three children, Rodney Keith (MiChell) Bird, Michele (Lance) Larson and Jack (Sheryl) Mayes; eight grandchildren, Zachery, Conner, Levi and Alexa Bird, Andrea (Douglas) Hitlin, Matthew Kline, Jarred (Katie) Larson, Tara (Chris) Nelson, Rebecca and Jennifer Mayes; great-grandchildren, Elizabeth and Harrison Hitlin, Blue Nelson; faithful brother Edward (Cindy) Bird and numerous much-loved nephews and nieces. He was preceded in death by his beloved daughter, Jacqueline Lanette Bird, his parents Ories and Eileen Bird, and sister Evelyn Pyell. Visitation will be held Friday February 8, 2019 at Alsip and Persons Funeral Chapel, 404 10th Avenue South, Nampa, Idaho. Funeral services will be conducted at 12 pm, Saturday, February 9, 2019 at Meridian Middle School Auditorium. Burial will follow in Kohlerlawn Cemetery, Nampa. In lieu of flowers, Keith’s family suggest donations to Meridian Boys and Girls Club or Launchpad Ministries. No one can fill the shoes of this remarkable man…husband, dad, grandpa, brother, uncle, friend…you will be forever loved and missed!